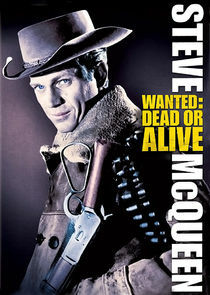 Wanted: Dead or Alive originally aired in black and white on CBS. 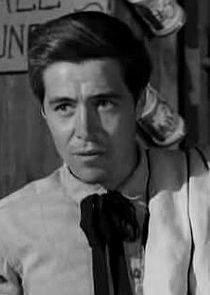 The pilot aired on the series "Trackdown" in March 1958. 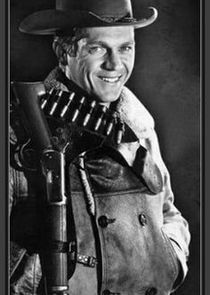 Bounty hunter Josh Randall was unlike any bounty hunter, he usually gave half or all of his reward money to good causes. He was a gentlemen and very respectful of the elderly. He was a man of few words and seemed to lack emotion but he was adept at using his gun, not an ordinary gun but a .44-.40 sawed-off 1892 Winchester carbine which he had on his "Mare's Leig", BUT the cartridges in his belt were .45-.70! His catch phrase in almost every episode was "Let's Go" which he spoke softly and sounded more like les goo. A treasure one not to be missed, especially to see Mr. Cool himself, Steve McQueen. Josh tries to reconcile an old friend and his son while they pursue a pair of escaped prisoners who make off with Barney's horses.